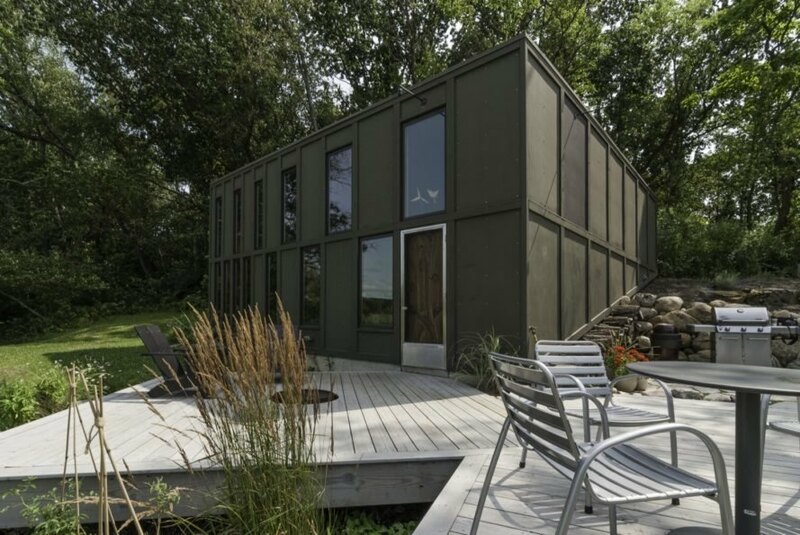 Completed in 2013, The Box spans an area of 960 square feet and consists of a main house, a screened porch and a small storage building. All three structures are slightly offset from one another to offer varied views of the landscape and are connected with two square timber decks. 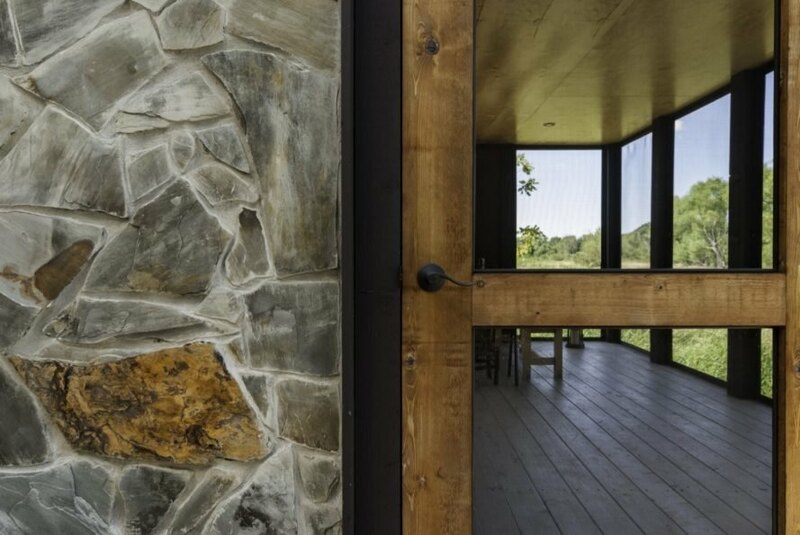 In response to the client’s wishes for a “very affordable” house with wetland views, the architects selected a budget-friendly yet attractive natural materials palette — including blackened steel, stone, concrete and birch plywood — to complement the property’s native trees and grasslands. The main dwelling includes an open-plan kitchen, dining area and living area on the ground floor. 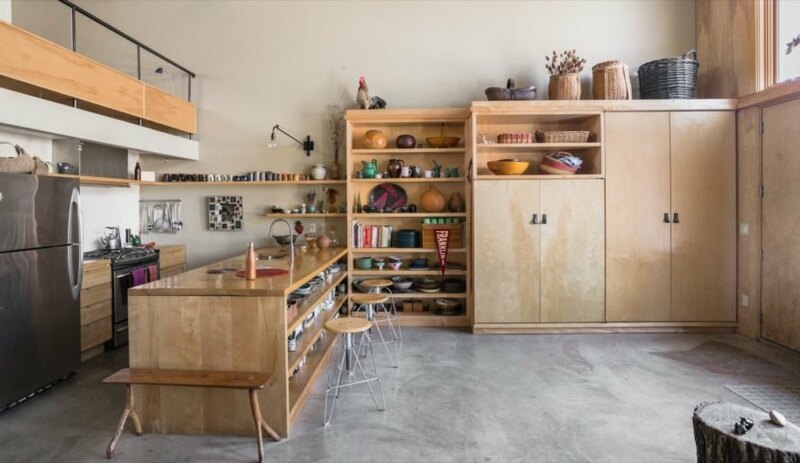 Above, a small loft offers space for sleeping and a home office. A two-story shower takes advantage of the double-height volume, adding what the architects call “a spatial surprise in the otherwise small space.” To minimize energy needs, The Box is wrapped in high-performance insulation and built into the side of the north-facing hill. Radiant underfloor heating and natural ventilation also help keep the home at comfortable temperatures year-round with minimal utility bills. This small, energy-efficient home is designed for a client who wants to embrace the wetlands of northern Indiana. The Box consists of a main home, a screened-in porch structure and a storage building. The home is connected to the other structures via timber decks. 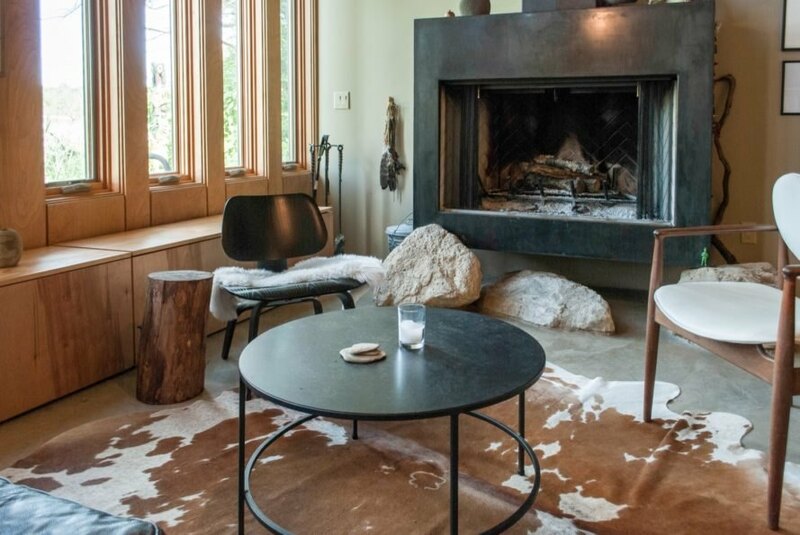 A natural materials palette kept building costs low and ties the home into its surroundings. The home is designed to keep a comfortable temperature year-round. 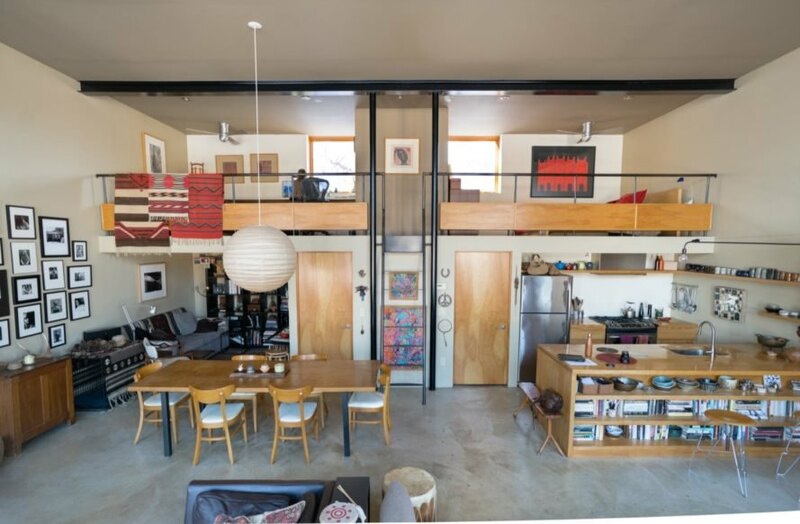 A lofted office and bedroom space sits just above the open-plan kitchen and dining area. The home is designed for energy efficiency. A look at the floor plan. The home is built into a hillside.